With SenSura 1-piece drainable, the SenSura double-layer barrier is permanently attached to the pouch. To change the pouch, the whole appliance is removed and replaced at once. SenSura 1-piece drainable is available with flat or convex barriers. The SenSura 1-piece closed assortment includes cut-to-fit and pre-cut opaque pouch options. EasiClose WIDE outlet - the outlet is 1/2" wider than many drainable outlets, making it extra-easy to empty and clean, and has an integrated Velcro closure that can be easily tucked away. SenSura 1-piece drainable is available with a convex light barrier. 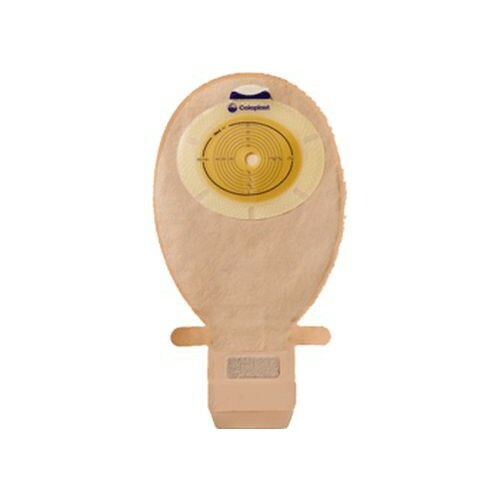 The oval shape of the convex light barrier is designed to help a stoma that is difficult to manage:for example, a stoma that is flush, retracted, or located in a skin fold. It applies light and directed pressure on the peristomal skin to reduce the risk of leakage by allowing the stoma to protrude. 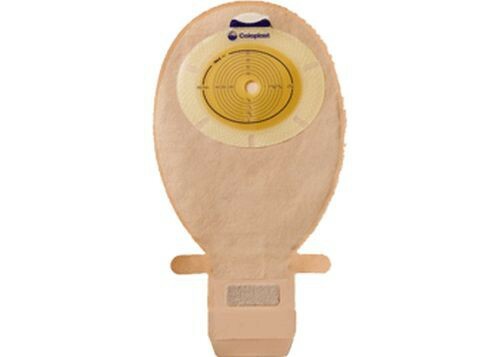 Ask your ostomy nurse for more information about convex light.